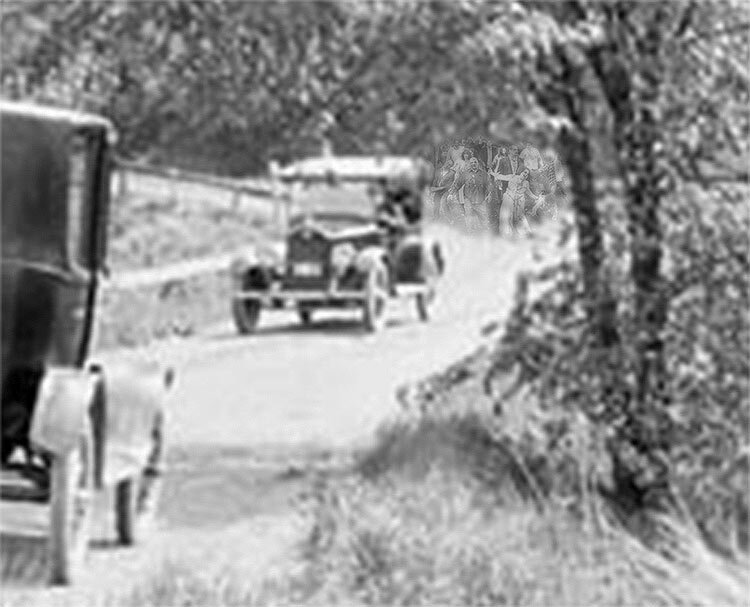 Model T Ford Forum: Old Photograph - DANGER! Model T Ford Forum: Forum 2018: Old Photograph - DANGER! 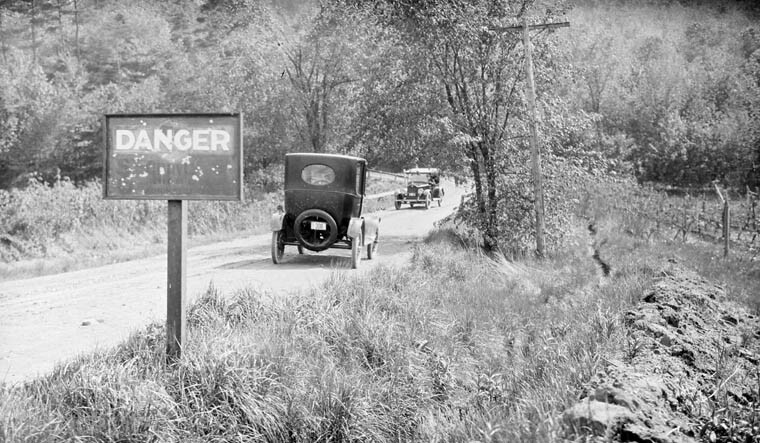 Captioned " "Danger" sign on road near Winona, Ont., May 21, 1922." In dark lettering does it say "5 MPH"? Perhaps they are warning the driver about the curve ahead. I can imagine the word curve there. Any other guesses? 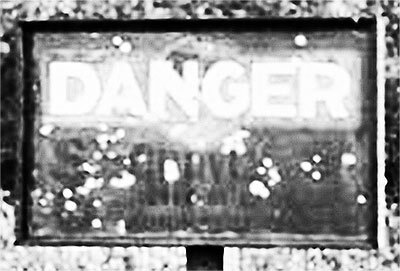 DANGER -- Don't get too close to this sign - people are shooting at it! Is that an Essex approaching? I think underneath it says "Here be Dragons"
I think the dark lettering is stencilling on the packing crate the signboard was made from. The white spots look like the remains of paper posters that have been pasted to the sign. Maybe they said things like "water over bridge" or "bridge out" when there was high water in season ? After a closer look I believe Jerry is right about the "ZOMBIES"
Going down a hill and then going up a hill in a tight curve just ain't safe. That would be a tough one in wet and cold weather. The road is barely wide enough for two cars anyway. I don't see a driver in the ford. 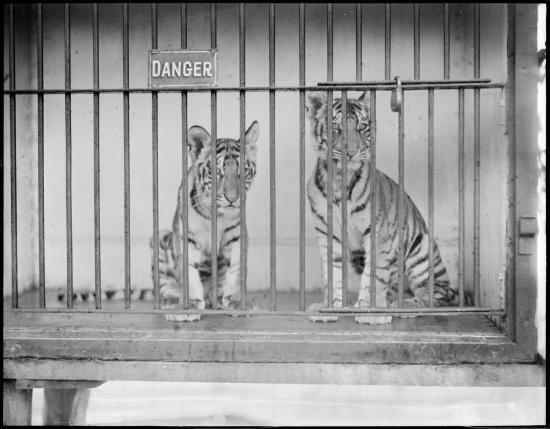 Passenger side door is slightly ajar - "DANGER ! Ford driver taking pictures and blocking the road !" Good eyes Steve ! I can see that now, but wonder why that's nigh unto invisible on the sign ? There also seems to be a large "O" under the "S" and more copy . . . ?! ?